The team are hard at work this week and enjoying the glorious sunshine.. plenty of fluids and suncream on please Team Wilkie. 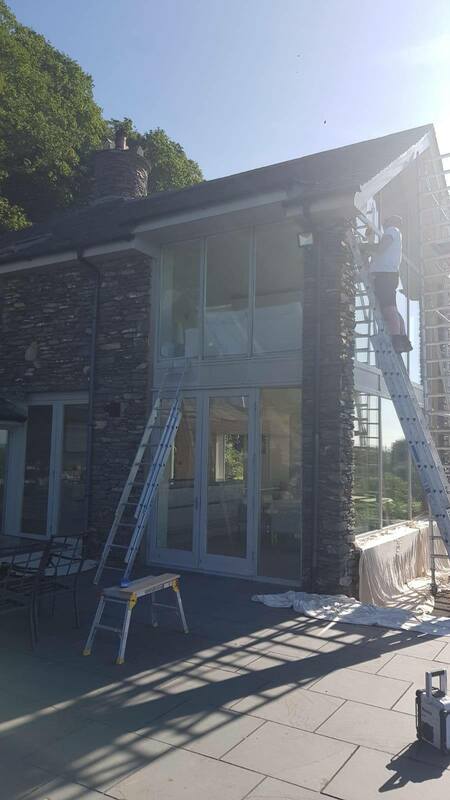 Makes up for all the cold days I am sure…This stunning property in the Lakes is having woodwork repaired and is being painted to make it look as pretty as the flowers. Hope you don’t suffer from hay fever Jase??? Thank you, we are very pleased with the decorating of the two rooms.